Jim Shore adds his whimsical touch to this heartwarming scene of the motherly Mrs. Potts and her somewhat reckless son Chip. The duo join Shore's collection honoring the 25th anniversary of the Disney classic Beauty and the Beast. 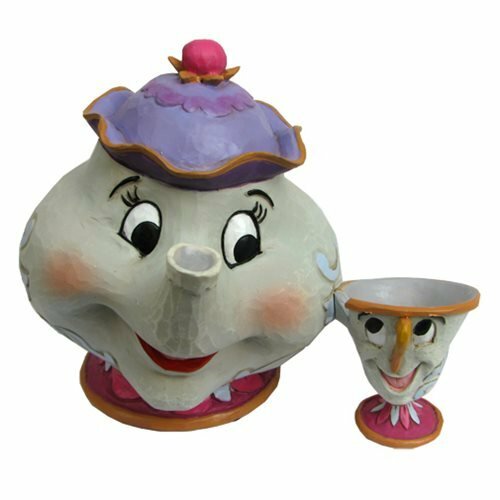 The Disney Traditions Beauty and the Beast Mrs. Potts and Chip Statue is made of stone resin and measures approximately 4-inches x 5-inches.